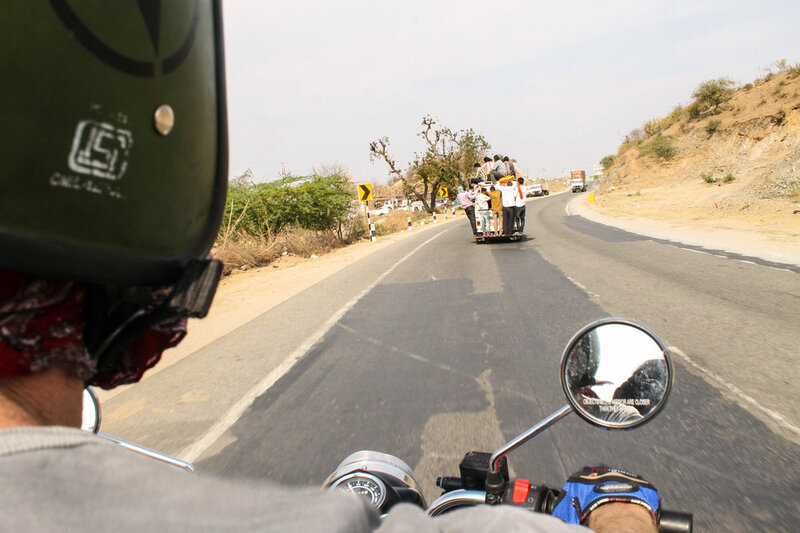 We left Pushkar and rode 100 miles northeast to Jaipur, “The Pink City”. Whenever we stopped for gas, a small crowd always formed around Scott. I don’t think a lot of New Zealanders frequent these gas stations. Red eyes, full hearts, can’t drink the water. Hawa Mahal, built in 1779. 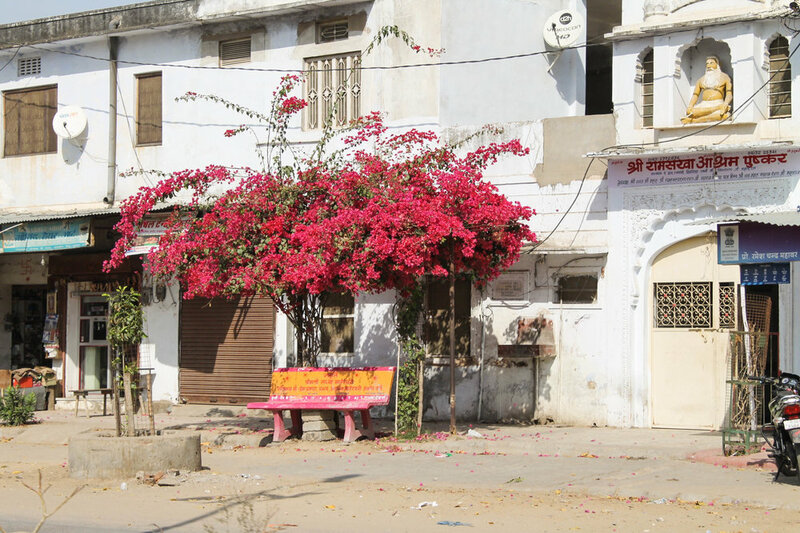 It was built for Rajput women (a social class that adopted the custom of “purdah”, the practice of female seclusion). 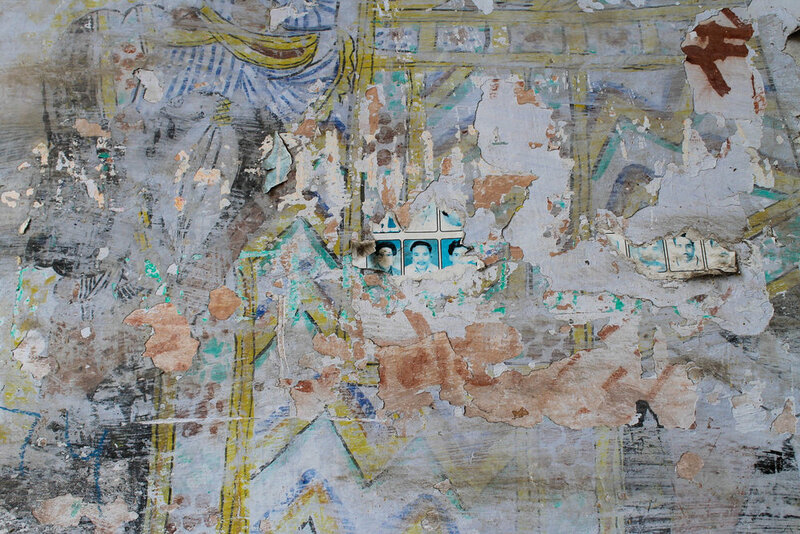 The women were not allowed to appear in public places but could hang out in the fort be able to watch the royal processions and see what’s going on in the city from the windows and small balconies. It was said to give the women a sense of freedom, without appearing in public. The city was painted pink in 1876 for the arrival of the Price of Wales, who later became the Emperor of India. I think it’s actually more of a “terra cotta” but what a welcome. 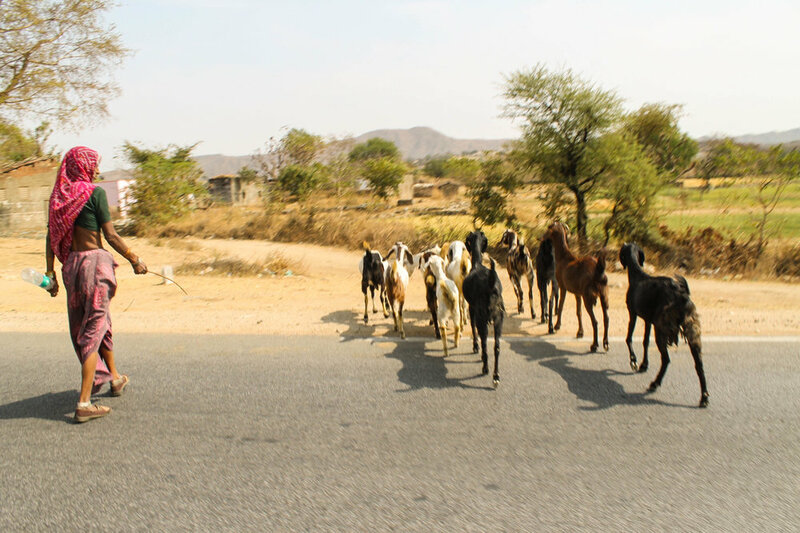 Pushkar is a pilgrimage site for Hindus and Sikhs (along with being a major destination for the Holi Festival) and is also well known for the Pushkar Camel Fair which brings over 50,000 camels from distant places to be bought and sold. 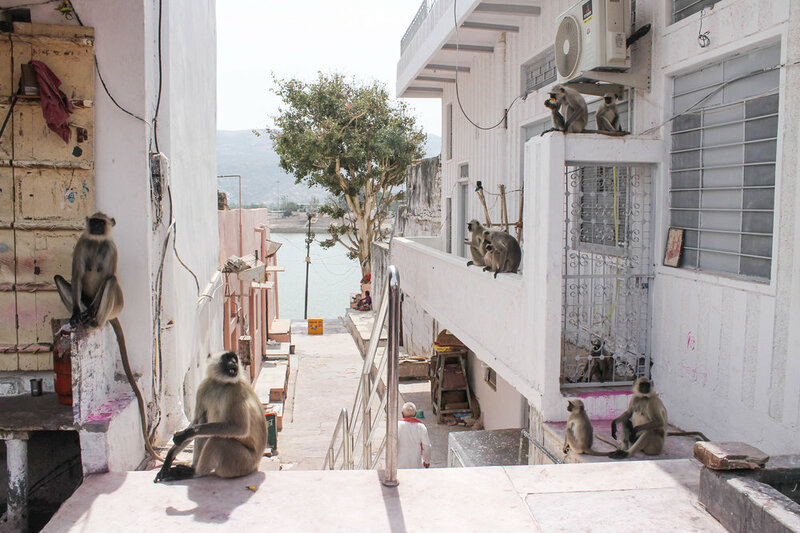 Bordering the desert, it’s a dusty place and has a holier vibe than anywhere else I visited in India with it’s temples around every corner, ghats for pilgrims to bathe in and the sacred Pushkar Lake glistening beneath the hills. thinking that this dusty little town was cited in the Mahabharata (a 2000 year old text that I read in Asian Studies class in high school) as the oldest religious hub in India… and here I was rolling through it’s purple stained alleyways on the back of a motorcycle in 2018. 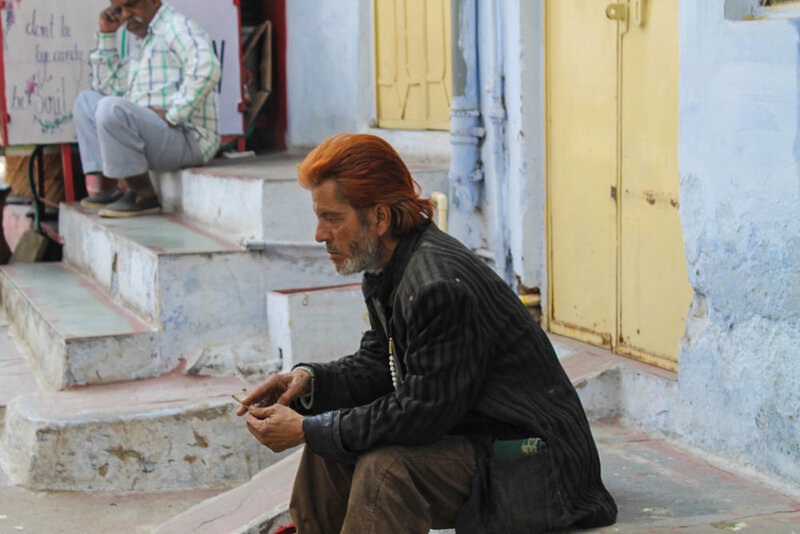 170 miles later, we rolled up in Pushkar — just in time for Holi. But then, a few hours later, Scott and I both fell deathly ill.
Like, yacking in an alley way… can’t eat for 24 hours kind of sick. It hit me first and then Scott soon after. I think some “bottled” water we bought on the road was the culprit. It was rough. 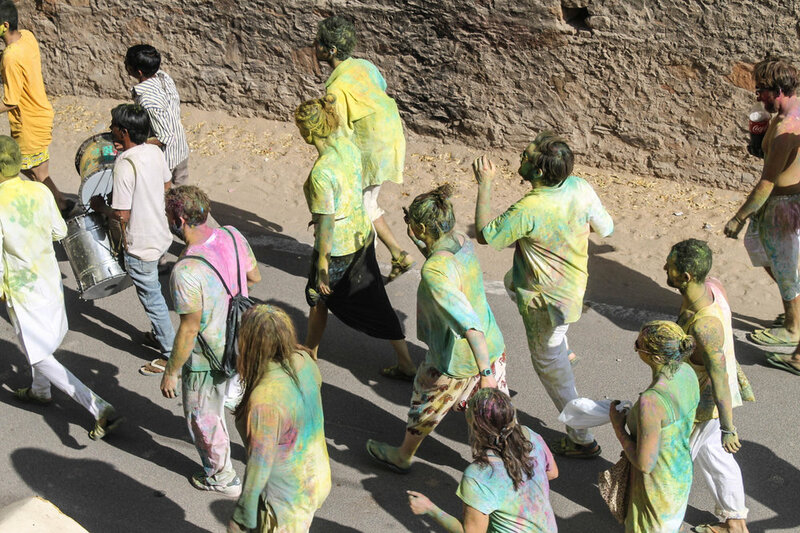 So unfortunately, the closest I got to Holi was seeing mini-parades of people heading to the center of town from the hostel window while I took small sips of ginger ale. From the thumping techno I could hear echoing from the main square, it sounded like it was quite the dance party. Though I’m still not sure what trance music has to do with Hinduism. But 24 hours later we were both fully recovered and ventured out to see the aftermath — it looked like a purple powder bomb went off — and we got a solid recap from 2 lovely Indian students from Jaipur who joined us for momos at a Tibetan Restaurant. 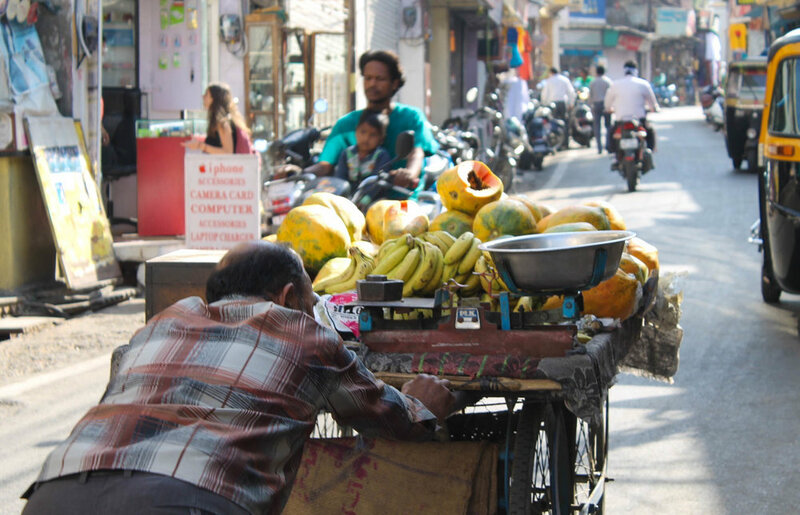 So, that was a bummer — but these things happen, especially while backpacking in India. But I will experience you one day, Holi. While we were on a boat cruise in Udaipur, we met a nice Australian fellow who said that Pushkar (a town bordering the Thar Desert) would be a great place to celebrate Holi, an important Hindu festival that was coming up. 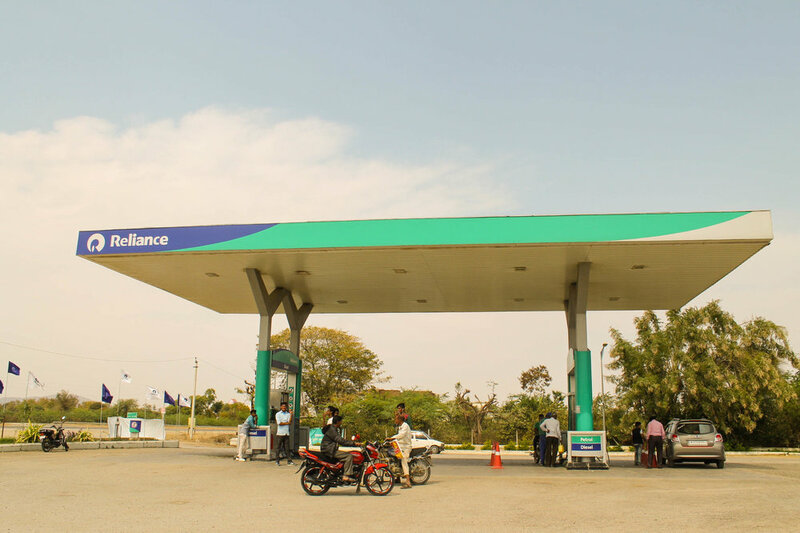 So we mapped out a trip, rented a Royal-Enfield motorcycle and rode 170 miles to Pushkar. Shout out to my Auntie Donna for giving me the scarf Scott’s wearing as a face mask a few Christmases ago. It really completed the look. And protected his lungs. I think these decorated cargo trucks were my favorite things in India. They’re everywhere on the highways and they’re decorated with the enthusiasm of a 7th graders locker. From what I learned, they’re owned by families and are decorated so beautifully because they ensure the entire family’s livelihood. So, the owners decorate them with “jewelry” kind of like the way you would adorn your wife for all of her hard work. These are the trucks where you would see the “HORN OK PLEASE” written, as referenced here, too. 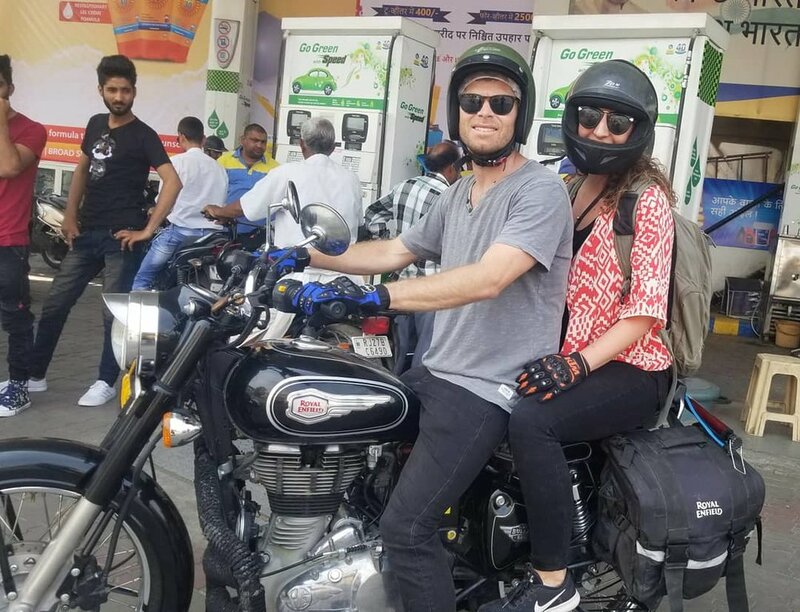 I had never been on a motorcycle before (only scooters) so I sort of accepted my death prior to hopping on the back (“It’ll be unfortunate, but what a way to go”) but we arrived in Pushkar safe and sound and only almost hit a cow once. Okay, twice. 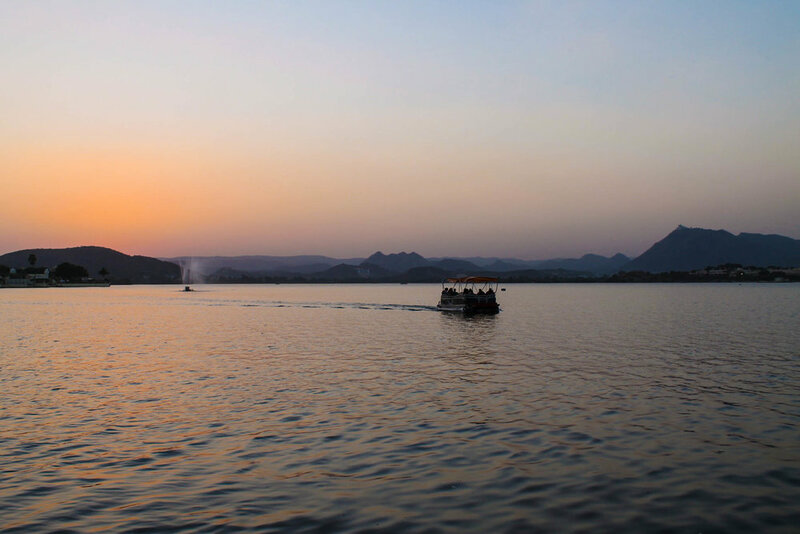 View from the boat cruise on Lake Pichola. 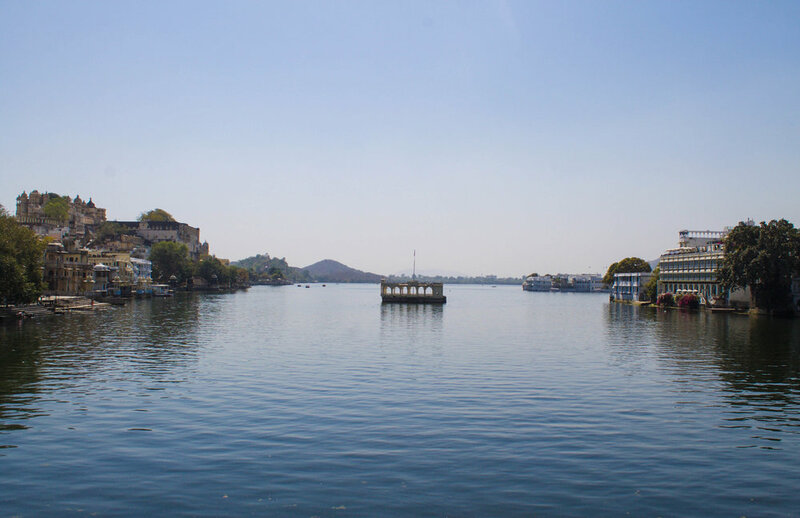 Udaipur is known as the “Venice of the East”. City Palace from a boat cruise. View over Udaipur from inside City Palace. Setting up for an event. FUN FACT: There was a wedding here in December that Beyonce performed at. Our favorite rooftop restaurant in Udaipur. I don’t remember the name but it had excellent views, veggie burgers, curries, special lassies AND lounge furniture. The experience of creating and running EditMate has given me a newfound appreciation for entrepreneurs. I never thought about the work that goes into a starting, maintaining and growing a business before but now I do. Whether someone is a running a massive corporation, a local neighborhood business or selling bracelets on a beach… I notice them now in a way I didn’t before. I think about what their day to day looks like, what got them to where they are now and take note of the little things they do for their business… like how they approach a sale or the way they set up their shop. 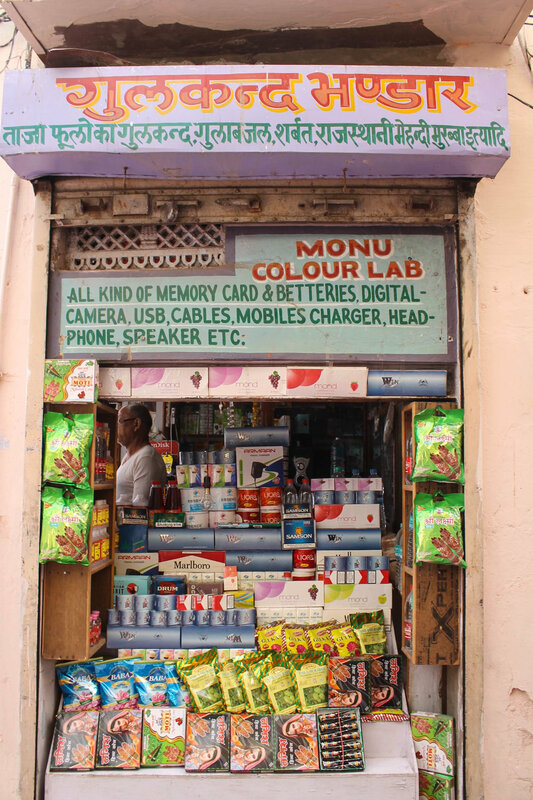 This was an especially fun exercise to do in Udaipur, where there are entrepreneurs around every corner who love to show off their products and tell you their history. 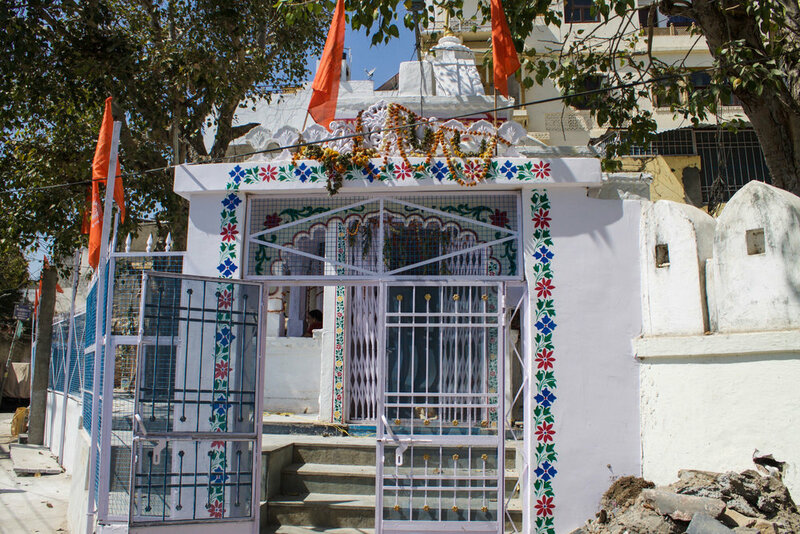 The Jagdish Temple, which was in the middle of Mumbai and just a few minutes away from where we stayed in central Udaipur. 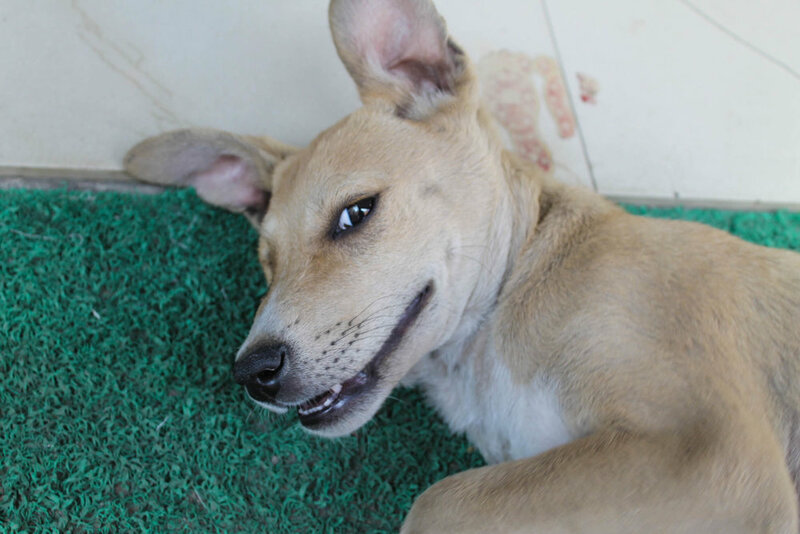 There are lots of stray dogs in India, which you’re obviously supposed to not touch or play with. But I 100% ignored that rule and immediately took a liking to this little guy who often tanned outside the cafe I’d get coffee at in the mornings. The owner of the cafe bandaged his leg one day so he just kept coming back and stealing my heart. 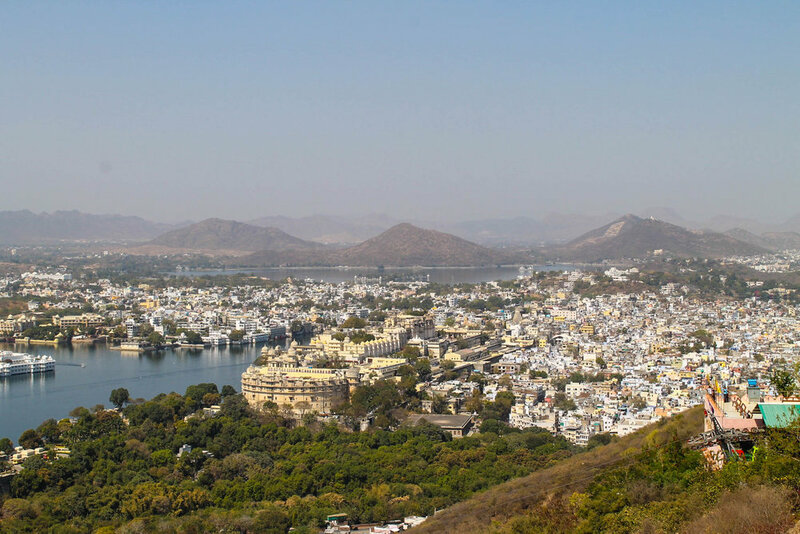 When you’re high up looking over Udaipur, it feels tranquil and spacious… but when you’re down in the streets, you navigate narrow and curvy lanes, amid brightly colored, slightly old-world feeling buildings. I liked peeking in all of the shops (they serve you free chai tea in order to get you to stick around longer) and eating street food while looking up at the assortment of windows that looked like they were constructed in completely different centuries. And the city was founded in 1559, so they probably were. Friendly, neighborhood cows. Around sunset one night, the cows started walking through the streets together so we asked someone where they were going and they replied “Oh they go back home now. They’ll be back tomorrow”. At the Mehndi, a friend of TJ’s spoke highly of a recent trip to Udaipur (a city in Rajasthan, north of Mumbai) so after the wedding ended, Scott and I booked a flight. After being in buzzing, urban Mumbai, Udaipur felt like a resort village. 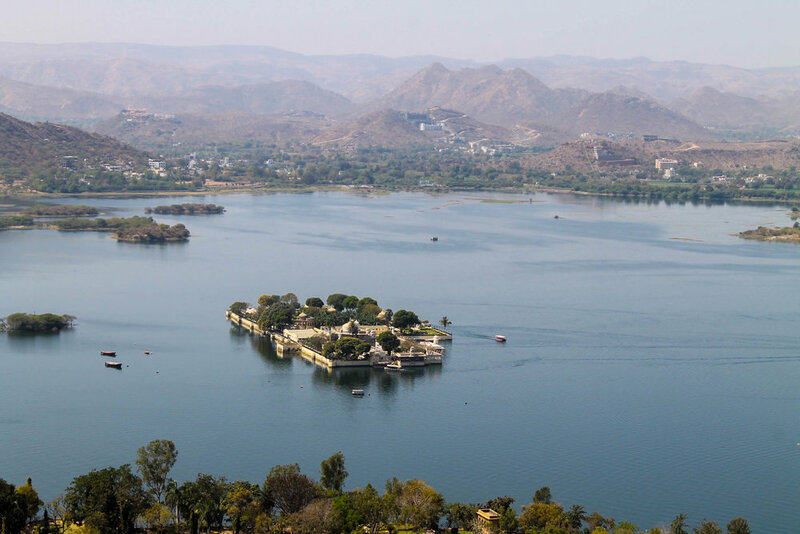 The city surrounds 7 beautiful man-made lakes and is filled with forts and palaces you can climb to see sweeping views of the water and mountains in the distance. 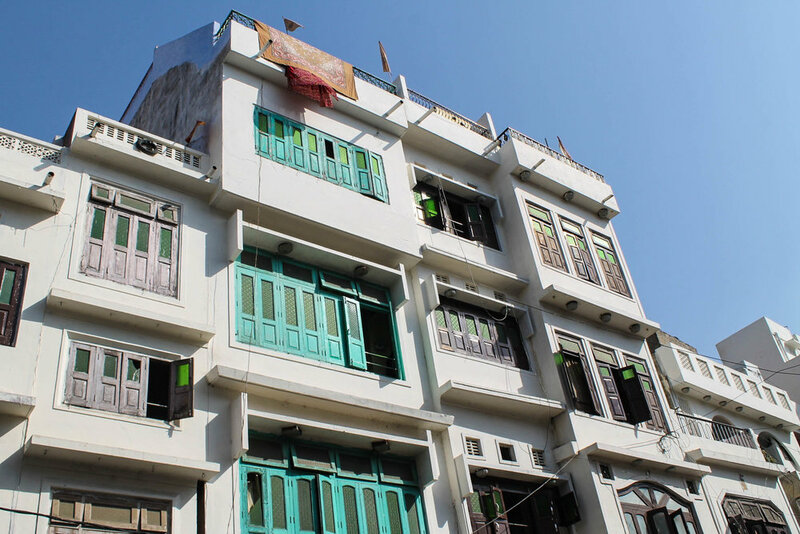 We stayed at Nukkad Guest House, a colorful multi-level little palace for $6 a night each. Family photos decorated every level of guest house with 4 generations of Raju’s family running day to day operations. His son handled the check-in desk, his wife ran the roof top restaurant, his daughter taught yoga in the mornings while his daughter-in-law did laundry and the grandmother looked after the little baby. The view from the top of Nukkad. Destiny’s Child Junior, humoring the street-style paparazzi (me). Udaipur was the perfect place to re-charge after the wedding and gear up for the rest of our Indian adventure. 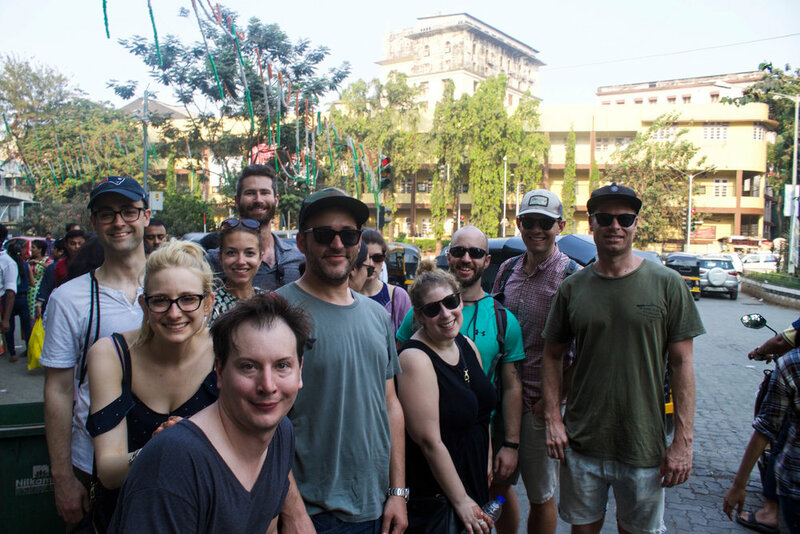 After the the last day of the wedding, a group of us powered through our hangovers and braved the heat to wander around Mumbai. Sean and Abby, attracting a crowd. Sean and Abby at the markets. We ended the day drinking pitchers and recapping the week at Totos, a garage themed (and apparently iconic) bar in Bandra West. TJ and Steve threw the most elaborate wedding I’ve ever attended. It spanned multiple days and required numerous outfit changes. I didn’t take as many photos as I usually would have, given how epic and photogenic the entire experience was… but only because there was a slew of hired photographers documenting every event so I figured I’d stay out of the way of the real pros. The ceremony where the bride and her female friends and family members get henna patterns drawn on their hands and feet. This was held outside by a pool with a pink and yellow lounge setup with (real!) flowers covering every inch. There was professional dancers (as seen above hoisting Steve up), a custom bangle maker and the first of many delicious buffets. Bender hitching a ride on Scott’s tuk tuk. Waiting for the henna to dry so I could dive right into the curry. The blushing bride and groom. The Sangeet happens after the Mendhi, the night before the wedding. It’s kind of like a talent show with very high production value where you get introduced to the bride and grooms family and friends via dance performances. My group of friends and I actually did a choreographed dance which we practiced for many weeks, leading up to the big night. Unfortunately, I not have photographic evidence of this but just know that it looked exactly like this. TJ and her friends performing. Mr. and Mrs. Rao (TJ’s parents), tearing up the stage. Steve, TJ, myself and Scott in our finest Sangeet attire. Finally got a good prom photo, 14 years later. Suited and sari-d for the wedding day. The American contingent of women. All very chipper despite our early mornings getting twirled and securely pinned into our saris. The American (+ one Kiwi) contingent of men. Who knew a hot pink head wrap is the one item that looks great on all of ‘em. The procession where the groom arrives to the ceremony on a decorated white horse. He was flanked by all of us dancing to the beat of a dhol (a traditional drum). See a little video of it here. The baraat led us to a massive room for the ceremony, with TJ and Steve and their families underneath the mandap (above) which is like the Indian version of a chuppah. I think I audibly gasped when entering the room and seeing this, it really was extraordinarily beautiful. And again, real flowers (!). 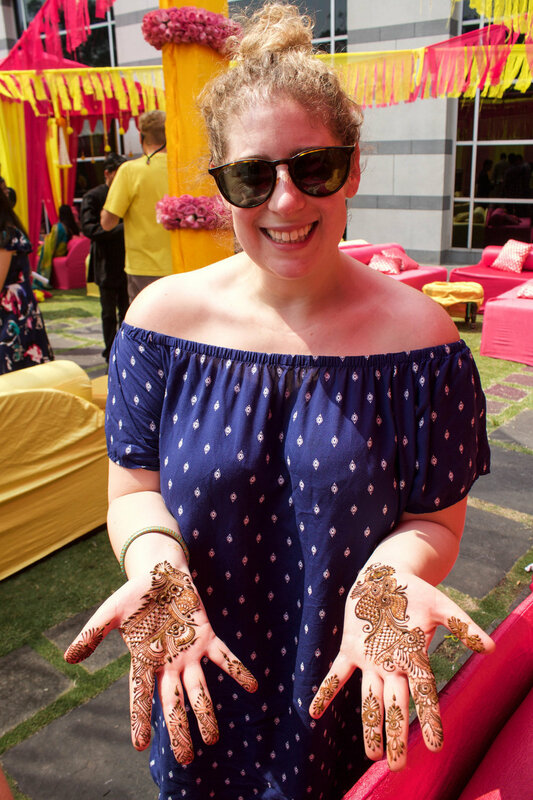 At night, there was a giant receiving line, more excellent buffets and a dance party with western pop songs infused with thumping Indian beats. So many of the Indian guests were suspiciously stunning (there was one group of boys who I swear were like an Indian One Direction or something because they were way too cute to be students) and they also really knew how to party. They regularly broke out into choreographed dances, taught us their moves and outlasted everyone on the dance floor. It was a great night. The Rao family was extremely generous to invite all of us and truly know how to throw a tremendous party. I’m secretly hoping another friend will marry TJ’s sister so we can do it all again. 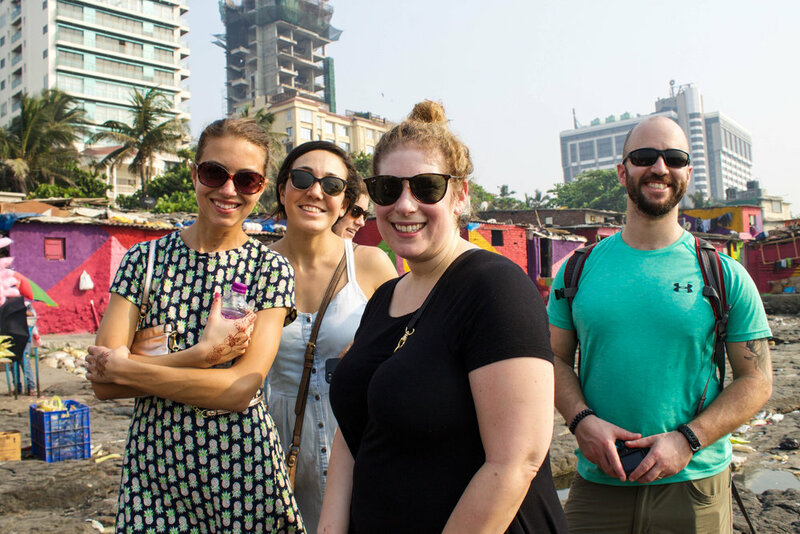 On our first afternoon in Mumbai, we commuted to the Gateway of India monument via foot, train and tuk tuk. Scott on the train. We didn’t really know where to get off the train but, being white, we stood out like sore thumbs so since everyone was already looking at us, I would say “Gateway to India?” to the people waiting on the platform and they would smile back and gesture to “keep going” or to “get out here”. I find that I get some of my favorite photos when I’m in a motorized vehicle (like a tuktuk or scooter, see examples here and here) because you only have a brief second to shoot a fleeting scene as you whiz on by. And you get to capture your subject naturally and unknowingly. Colorful clotheslines, which again reminded me of Naples, Italy. Gateway of India: a monument that was erected to commemorate the landing of King George V and Queen Mary at Apollo Bunder (a pier) on their visit to India in 1911. For the British arriving to India, the gateway was a symbol of the "power and majesty" of the British Empire but today it serves as a "monumental memento" of British colonial rule over India. 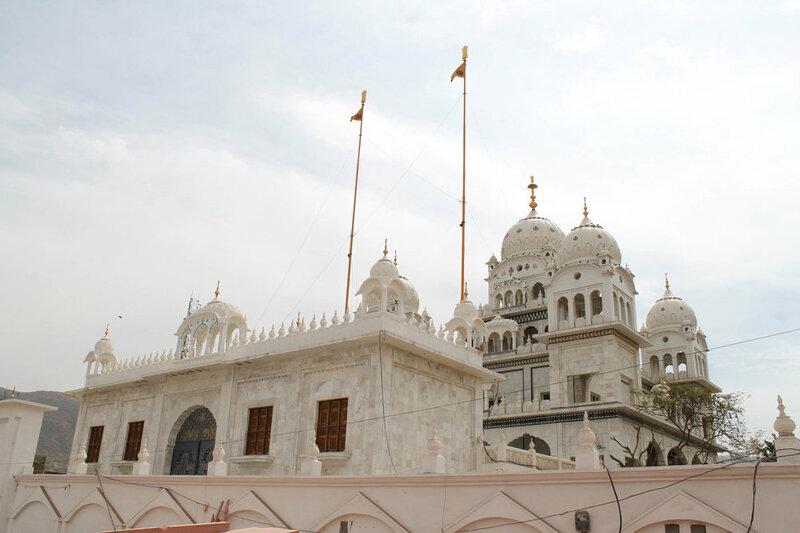 The design is a combo of Hindu and Muslim architectural styles. Ferry boats behind the monument. 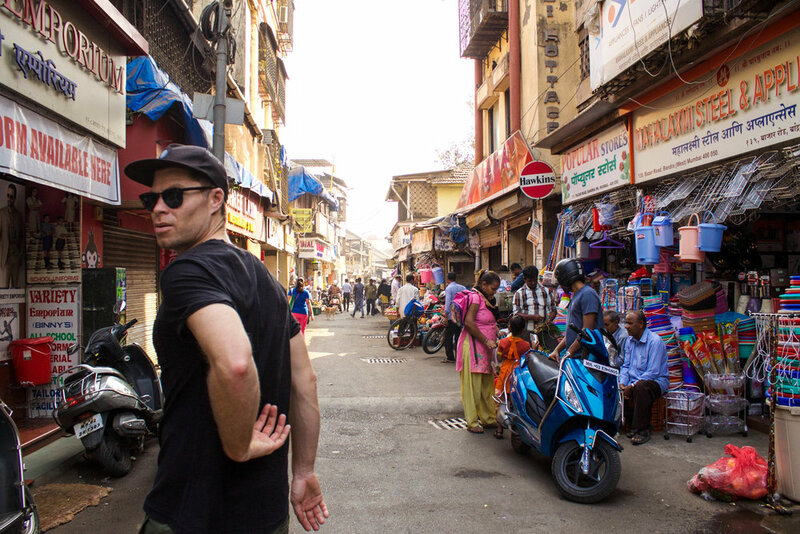 Scott with the Taj Mahal Palace Hotel in the background. Apparently the building is the flagship property of the Taj hotel group. 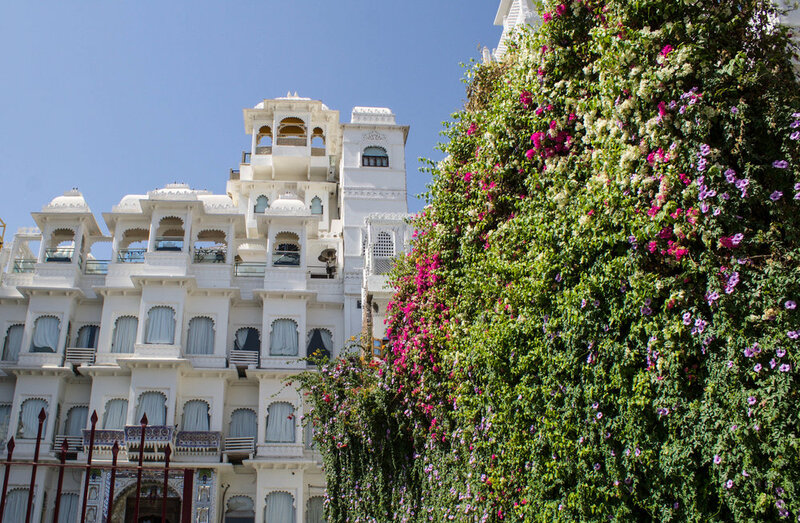 When it first opened in 1903, the hotel was the first in India to have: electricity, American fans, German elevators, Turkish baths and English butlers. Later, it also the site of India’s first discotech. 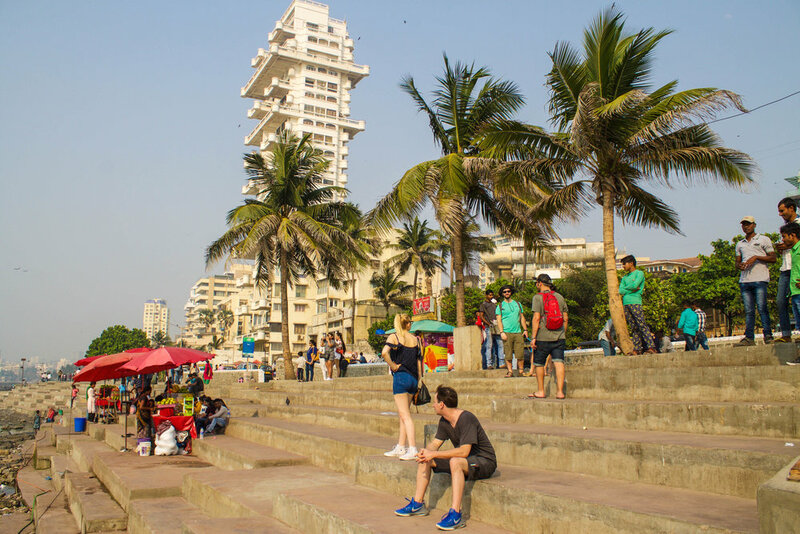 The Gateway to India is quite a tourist attraction and it seems to attract Indians from lots of other places around India, including rural areas where I don’t think they see many white people walking around. So Scott and I were a bit of a tourist attraction here, too. I kept getting groups of little girls coming up to me asking for photos. They would say “Hello Miss, you are so beautiful, may I take a selfie with you?”. It was probably the closest I’ll ever get to feeling like Beyoncé. And I loved every second of it. Arriving a day before wedding festivities began, I booked a hostel in Mumbai’s Bandra West neighborhood. Solid rules to live by, I’d say. 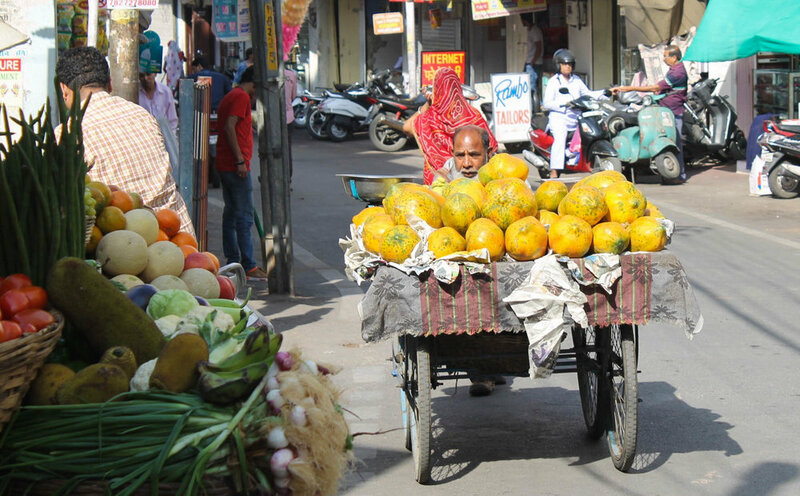 We arrived before the sun came up and walked down the quiet alleyways while the fruit vendors were still setting up their stalls. 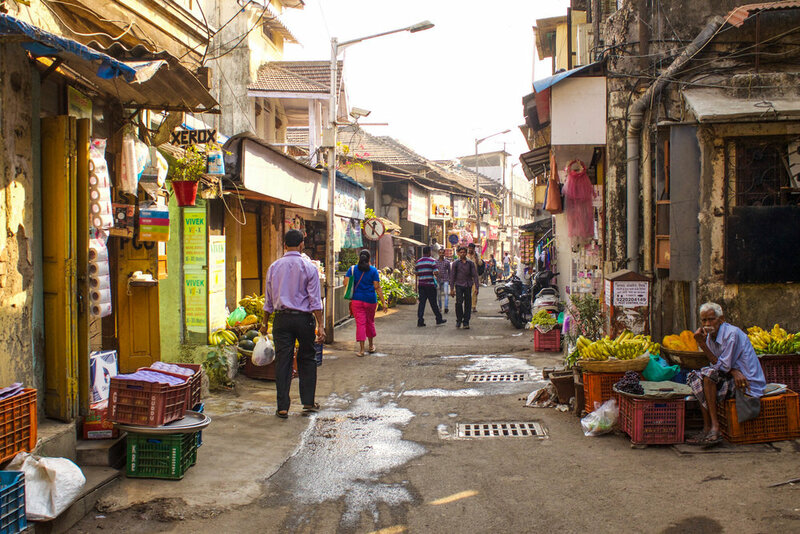 After checking in, we started exploring as the day got brighter and the streets came alive. There were people and dogs and stores and food and motorcycles and cars buzzing in every crevice of the neighborhood. 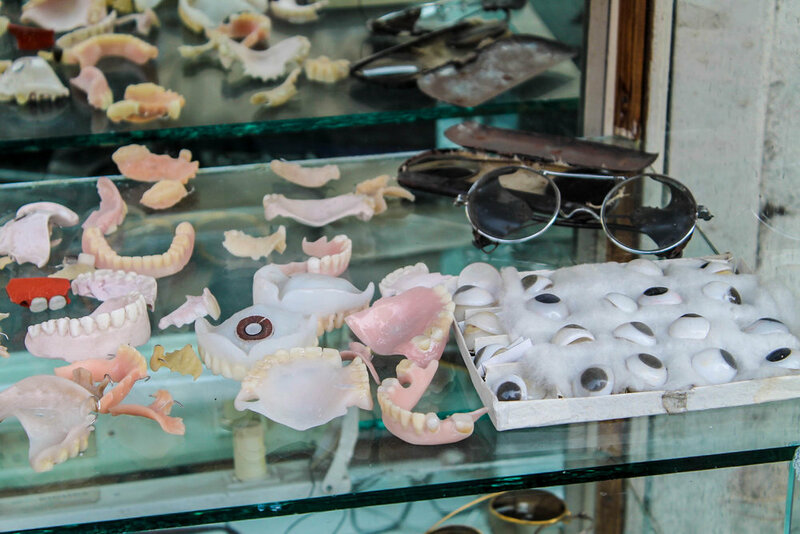 After many hours on a sterile plane, ALL of your senses are stimulated walking in Bandra West. And then I took 5 more steps… and there were freshly chopped GOAT HEADS on a table, next to their bodies being BBQ’d. It was a very direct “farm to table” food stand. How great is this guys desk set-up? Who needs a standing desk when you’re right out front, in the sun, amongst the action? Decor at the Horn Ok Please hostel. We stayed at Horn Ok Please hostel that’s camouflaged in a hectic alley way, with the only sign being giant letters spelling out “HOP” in yarn. But as soon as you enter the doors (and take off your shoes, you gotta take off your shoes) it’s like stepping into a serene, shabby-chic oasis. As a hostel veteran, I didn’t know what to expect of a cheap hostel in India (I got bed bugs in Marseille, France) but this one was FAB. I felt like I could’ve been in Brooklyn or Berlin, but with DIY Indian Hipster decor. 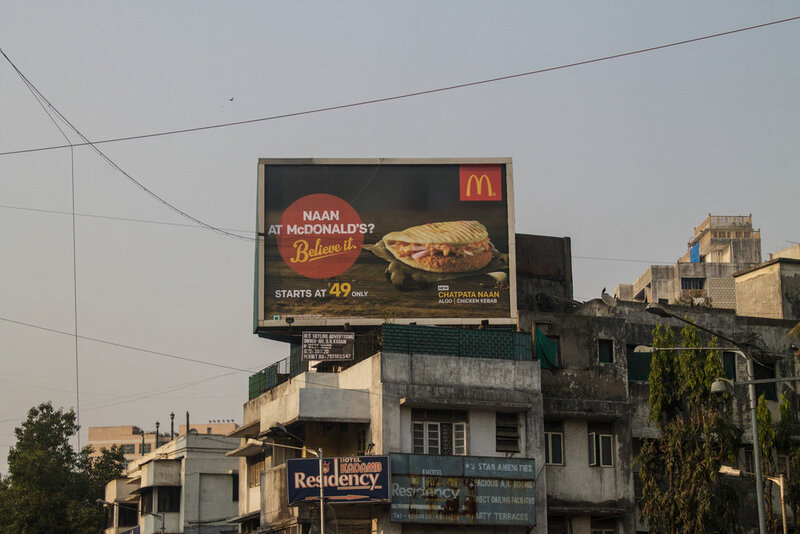 It was so clean and well designed, there was delicious Indian-Western style breakfast and they even have a great blog with useful tips that made it easy to explore the neighborhood as soon as we checked in. This rule (and signage) was actually banned in 2015 to help prevent noise pollution, but I assure you, the practice is still alive and well. Drivers are still very vocal with their horns, especially the tuk-tuks. Makes for a fun ride. As a big fan of bright colors, curry and yoga — I’ve always wanted to go to India. However, it’s a place that’s as intimidating as it is intriguing. With 1.3 billion people and a diverse landscape that covers everything from deserts to snow capped mountains, it’s hard to know where to even start when planning a trip. 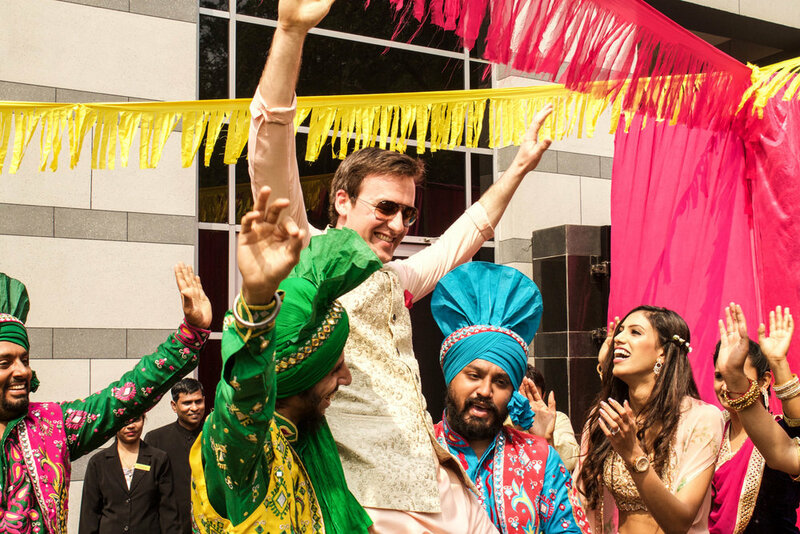 So, I was thrilled when I got invited to my friends Steve and TJ’s wedding in Mumbai. 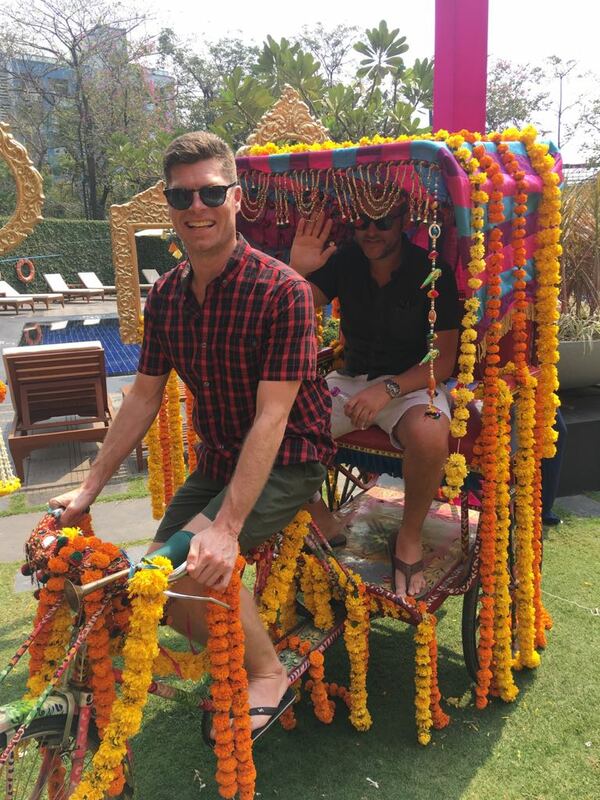 Not only would I get to attend see my friends get married in epic Bollywood style wedding, but it was also the perfect excuse to escape a Boston winter and spend 3 weeks backpacking in India. Students walking to school along the Band Stand. Bandra-Worli Sea Link — or as I called it: the Indian Zakim Bridge. Even after booking a roundtrip flight to Mumbai, I still didn’t know where to start in actually PLANNING a trip around India. It’s just so huge. I tried watching YouTube videos and reading blog posts — but I would just get overwhelmed and end up watching movie trailers instead. I wanted to travel the way I always do: by just winging it. In 2018, with smartphones and wifi it’s never been easier to plan as you go and just go with the flow. But was that really possible (or wise) in INDIA? Way cuter than the MBTA. I think my favorite feature of Mumbai were all of the colorful little details in the buildings, even when they were falling apart — they were still beautiful in a way. Reminded me a bit of Naples. 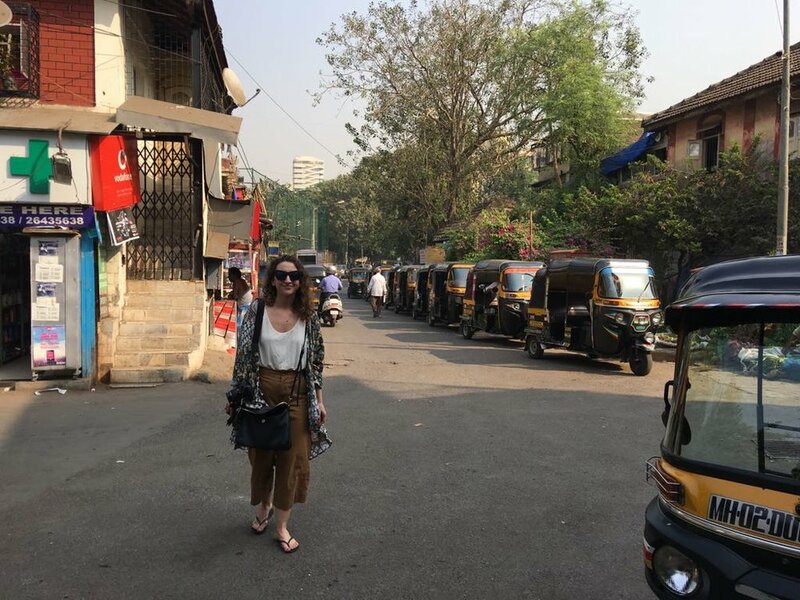 We landed in Mumbai with no set plans after the wedding but with the guidance from friendly locals, helpful backpackers and GoogleMaps we found our way around (a small portion of) colorful and chaotic India. And it was even better than I imagined. Swimming with turtles was high on my things-to-do-in-Hawaii list. I had looked into a few specifically turtle spotting boat trips but then one day while walking along Laniakea Beach in Haleiwa, we found 'em in the wild. We were so enthralled by our first spotting that we stayed for hours walking along the beach, spotting turtles napping on the sand. Not dead. I swear. Only looks dead. Very much alive. Walking along the beach, we spotted more and more washed upon the shore. And then we came back day after day, to swim with them in the ocean. We named this one Tezza. So, if you ever find yourself on the island of the Oahu... skip the $80 "swim with the turtles" boat tour and just hang with them at Laniakea Beach. 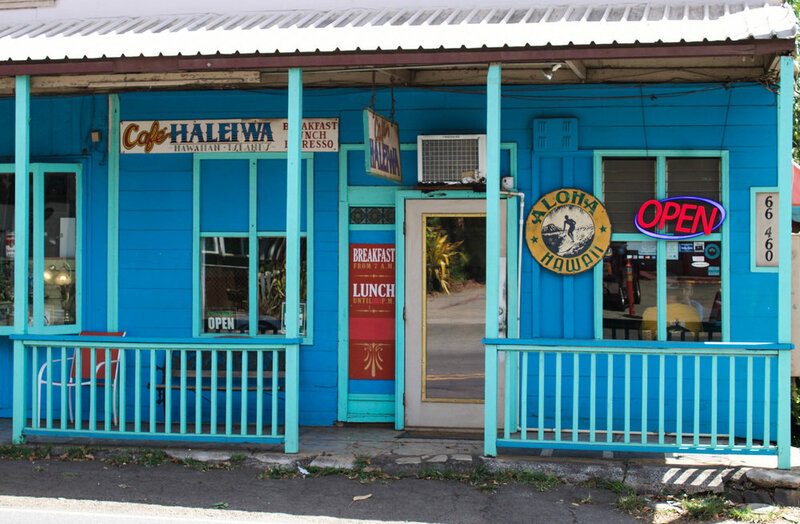 Haleiwa (a little town on Hawaii's North Shore) is the surfing capital of the world. Known for the giant, insane pipeline waves (yes, like Blue Crush) it's a surfing mecca. We were there in the off-season so unfortunately, it was relatively flat but still beautiful. The small community dates back to the 1900's and the architecture in the main town looks slightly old-westy with brightly colored, saloon-style buildings. 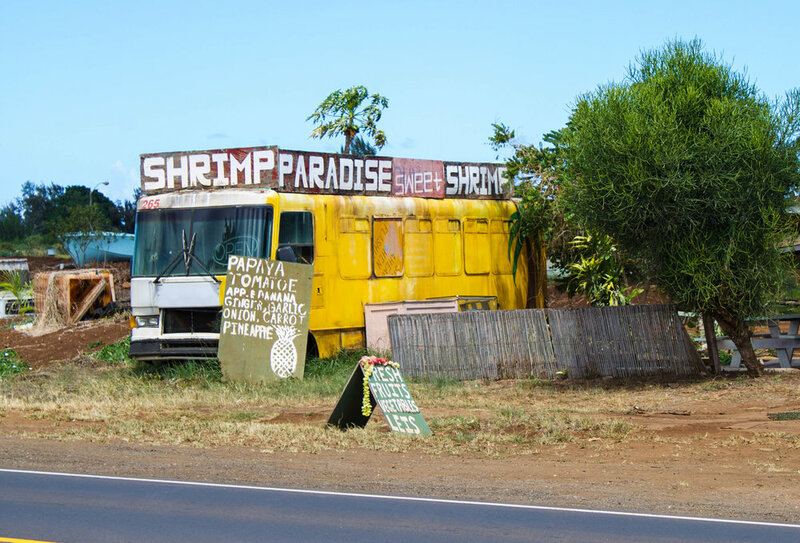 In Haleiwa, the one long road that hugs the coast is the only way in and out so no matter where you drive, you have the bright blue ocean on one side and tropical flowers lining the sandy road on the other.